Jang Geun-suk, who is serving as an alternative, donated 100 million won for the forest fire damage in Gangwon-do. According to the Hope Bridge National Disaster Relief Association, Jang Geun-suk delivered 100 million won for the relief of forest fire damage in Gangwon Province on October 10. Jang Geun-suk, who is serving as an alternative, donated 100 million won for the forest fire damage in Gangwon-do. According to the Hope Bridge National Disaster Relief Association, Jang Geun-suk delivered 100 million won for the relief of forest fire damage in Gangwon Province on October 10. 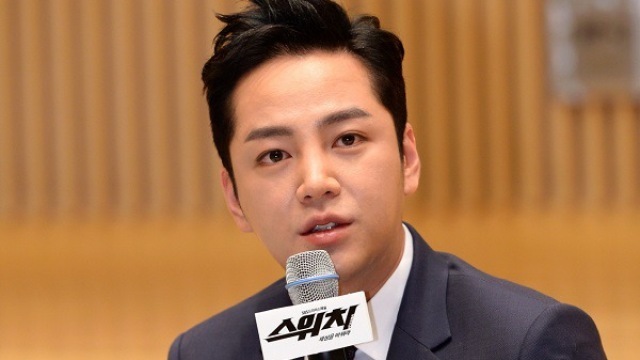 Jang Geun-suk, through his agency, said, "Jang Geun-suk, who has a special affection as a public relations ambassador in Gangwon province, got to know the news and was sadder than anyone." I hope that soon the damaged area will be restored and hope can be delivered to the hearts of wounded victims. "He said. Jang Geun Suk's domestic and international fans will donate KRW 60 million worth of goods and donations to the fund through the official website immediately after the fire accident. Fans will go directly to Sokcho and Goseong to deliver rice and ramen for the victims on November 11th. Jang Geun Suk said, "Thank you very much for being a strong supporter whenever there is a hard time for the fans who voluntarily participated in the news." Jang Geun Suk received a fourth grade military service for bipolar disorder in the physical examination of the MMA, and has been serving as a social worker since July last year. [Svsta] Yoon Ji-oh "I am not a criminal witness" ... "I'm excited"